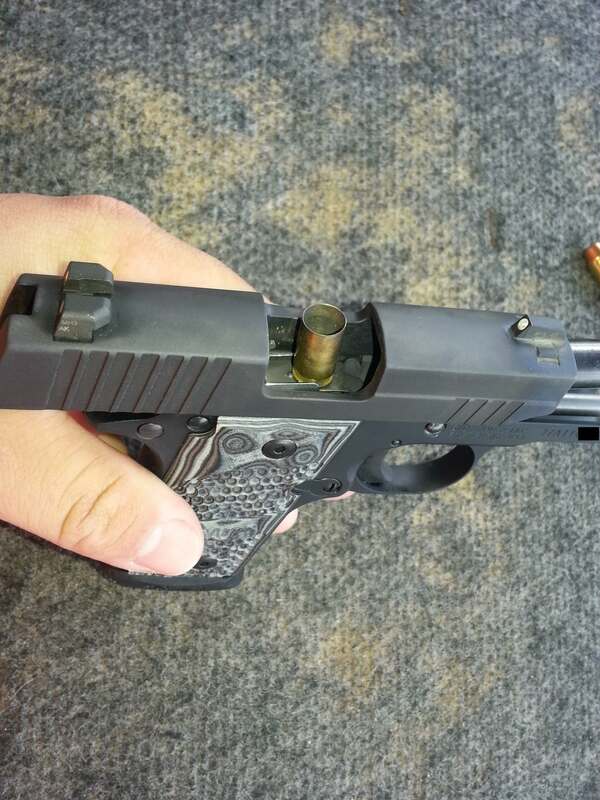 Last Saturday I saw an odd failure in a SIG P238 pistol. After I helped the shooter clear the malfunction I thought that I should have snapped a photo of it, so I reproduced the malfunction for the above photo. Never before have I see a fired shell case stuck in the feel lips of a mag. The owner of the pistol said that it has been good and reliable for him, so hopefully this is just a rare fluke. New one for me, but you know Darwin.